There is a cry coming from the throne of God for an awakening to take place in this generation. The busyness and struggle of everyday life can not only exhaust us but also strain our relationship with God! One morning God spoke to my heart and said that the best word to describe how most of us feel is dehydrated! “We are so thirsty!” Those are the words my family echoed late one afternoon after we had finished a long hike into the mountains. In our carelessness we had not carried enough water for our journey. Luckily we made it out of the woods to the water bottle waiting for us in our car, which was parked at the end of the hiking trail. Have you ever felt that way—dry, thirsty, and desperate for refreshment? I have learned that, too often, you don’t even realize you’re thirsty or dehydrated until it’s too late in your journey. By that time it has taken a toll on your body, both physically and mentally, and your body screams for refreshment. The same is true of the life journey. So many people are thirsty and desperately seeking relief for the issues that have left them empty, parched, and exhausted. They are desperately seeking answers! Life has a way of depleting our spiritual “wells.” It’s time to head back to the well to get refilled. The Bible is filled with the answers we need. In the story of a woman Jesus met at Jacob’s well, the Bible talks about our desperation and thirst, and provides the relief we are seeking. In John 4:10 Jesus told the woman, “If you knew the generosity of God and who I am, you would be asking me for a drink, and I would give you fresh, living water” (The Message). So very often, we go to the well out of desperation. With our buckets in hand, we present our cases to God. We pour out everything to Him, dumping our guilt, shame, fears, concerns, insecurities, anxiety, and sins. Rarely, however, do we drink of the life-giving water He wants to provide. That water would keep us refreshed and free from spiritual dehydration; but instead, we walk away still dry and thirsty, without receiving the living water He offers freely. As a young girl I was lonely, insecure, and hopelessly searching for identity and purpose. One hot, muggy, Florida morning, while sitting alone on a concrete bench in the middle of the school courtyard, I began a journey that would change the course of my life forever. There on that bench, I learned to hear the voice of God as He sat beside me and talked with me. This is the place where Jesus sits, on the well of Jacob (the deceiver), so that we can see truth clearly and live in continual freedom and joy and peace. That is where I found Him that day, on a concrete bench that became my personal “well experience” with Jesus. 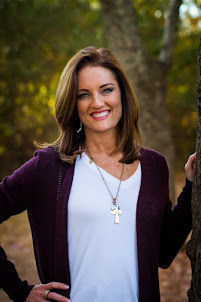 Throughout my ensuing years as a wife, mom, pastor’s wife, and evangelist, I have had many more encounters that have led me to taste the living water. Those encounters have changed me from a dry and barren land to a fountain that is able to pour out and lead others to their own well experiences with the Savior. There is a well experience for everyone. It’s that moment when Jesus sits down to talk with you alone. The Bible says that Jesus sat down at Jacob’s well (John 4:6). 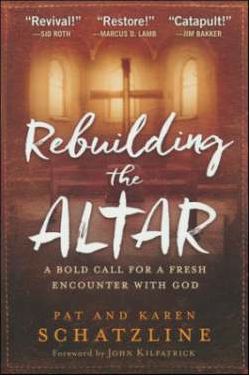 In doing so He set the stage for a supernatural encounter with God. The power of the encounter! It is the moment when Jesus silences the voice of the deceiver (the enemy) in your life. It is a divine appointment, a specific time when God “shows up” on your behalf. The moment is marked by His presence, power, and deliverance. It is a realization that change has been waiting on you, and there is more avail- able than what you have settled for in your life so far. This message is for those who long to walk to the front and worship in God’s presence but feel that the guilt and shame of the past get in their way and keep them chained to their seats. It is for those who feel they don’t matter or don’t deserve to have a real relationship with a loving, caring, healing Savior—those who have become too tired, overwhelmed, and dry to fight the enemy. God is waiting on you. In the middle of your desert, in a life that might feel like a wasteland, He has streams of refreshing, life-giving water. All you have to do is show up and drink, and you will never thirst again. Our physical bodies can go without water for only three days before they start shutting down. At that point we become unable to function as we were created to, and our minds start playing tricks on us. In the same way, when we aren’t regularly filled up spiritually, we are unable to function properly as Christians. Because of spiritual dehydration, our hope deteriorates, we lose focus, and we become ineffective in life. As you take this journey with me, I challenge you to open yourself up to the God encounters, the well experiences that will change you from the inside out. In them, you’ll be transformed for a lifetime, not just a moment. Forget all that [is behind you]—it is nothing com- pared to what I am going to do. For I am about to do something new. See, I have already begun! Do you not see it? I will make a pathway through the wilderness. I will create rivers in the dry wasteland. He wants to set you free and give you a fresh start. He issues second chances upon request. It’s time for you to realize that your life matters and that God loves you and has a purpose for your life. You’re not here by chance. He is waiting to have a personal relationship in which He walks with you and talks with you and leads you on an amazing adventure full of life and joy and peace and fulfillment. Buckle up, because this journey will force you to challenge everything you thought was normal in your weary life. God uses the dirty, messed up, forgotten nobodies; He heals and sets them free and uses them to clean up this messy world. It happened to the woman at the well. She didn’t deserve the kindness Jesus gave her, but He decided that she was worth His time. God had bigger plans for her than she had for herself—and not just for her, but also for those she would encounter. As you embark on this journey let me ask you: Does God know where you are today? Does He know your circumstances, issues, and struggles? The answer is absolutely! He knows, and He is preparing an encounter just for you and Him to have a conversation about that plan for your life. He has called you to rise up! If you will allow Him, He will walk you through a journey to find freedom, joy, fulfillment, and purpose as you read these pages. Your journey is both temporal and eternal. There will come a day when you and I will hear these words: “The Spirit and the bride say, ‘Come!’ And let the one who hears say, ‘Come!’ Let the one who is thirsty come; and let the one who wishes take the free gift of the water of life” (Rev. 22:17). He is waiting to meet with you. Are you thirsty today? Are you dehydrated by the world and the issues of life? Will you come and drink? 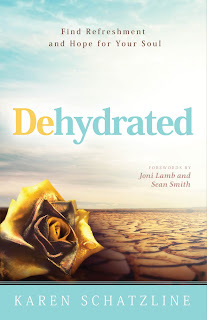 You can order "Dehydrated" by Karen Schatzline by clicking here.